I haven’t been exactly active on this blog ever since I got a full time job, really. My full time job recently became open source though, so if anyone is interested in what I’m doing, they can follow me on GitHub. We’re working there on a cross platform runtime and a native compiler for .NET Core. The project is still in the very early stages, but you can already use it to build a C# Hello World command line program and compile it into a native console app for Windows, OSX, or Linux. The console app you build is a fully native program with no .NET dependencies (the only runtime you need is the C runtime!). It’s lean and launches fast. It’s the thing C# developers have been dreaming about for years. Quick post. I was shopping for a new home server and was eyeing the new Intel Bay Trail CPUs. The only thing that deterred me from buying it was Intel ARK insisting that Celeron J1900 doesn’t support the Extended Page Table (aka Nested Page Table) feature. From the past I know that ARK is not exactly the best source of knowledge on EPT (go figure) so I kept searching, but I couldn’t find a confirmation. I found a mention of EPT in someone’s /proc/cpuinfo dump, so I bit the bullet and bought it. 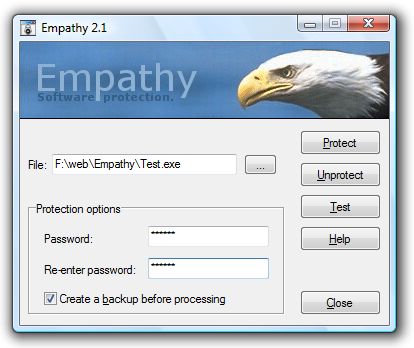 There you have it – both VT-x and EPT are supported by this CPU. This weekend I was working on a small Windows Phone project to scratch one of my itches. I wanted to create an app that would connect to a ELM327 Bluetooth adapter in my car whenever the adapter is within my phone’s reach and do something with the adapter in the background. The Bluetooth adapter exposes itself as a simple RFCOMM COM port. I thought I should write down the steps to accomplish this (mostly for my own future reference). I chose to do this with a C# WinRT app. It might work with Silverlight, but I’m not sure about that. You need to target Windows Phone 8.1 since most of these APIs are new to Phone 8.1. The EntryPoint part specifies the full name of the WinRT class implementing the background tasks (more about it later). Note I said paired – if the device is not paired to the phone yet, it will not show up even if it’s within reach. It might be a good idea to show the user a button that launches the Bluetooth settings system dialog to let them pair new devices. Also note another implication of this – a paired device will show up even if it’s not within reach. This is usually a good thing. The service object has a few interesting properties that can be shown in the UI to determine what device does it represent. Intellisense is your friend. Once we have found a device service to out liking (and maybe let the user pick it in the UI), we can register a background task to fire every time the phone sees the device service being advertised. // Uh oh, we can't create background tasks. Maybe the limit was reached or the user declined. With that out of our way, we can create the background task with this code. The local variable “service” is the service we discovered above. Again, the TaskEntryPoint is the full name of the WinRT class implementing the background task that we haven’t implemented yet. Background tasks have to be hosted in a separate WinMD file. It can’t be in your main executable. Also, you need to create a project reference from your main executable to the background task WinMD even though you technically don’t need that for the app to compile. This part is really important. If you forget it, your app will just force close without any diagnostic information when the task fires. Don’t forget to do this. I got recently forced into installing Office 2013 on my computer at work. 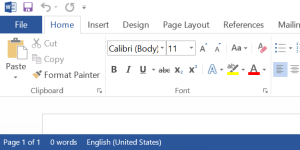 I was not a big fan of the ALL CAPS menus to begin with (and I’m really happy Visual Studio folks have a regkey to turn that Office plague off in their product), but it really surprised me just how OCD I became over OFFICE. I actually tried avoiding opening Outlook just so I don’t have to deal with EVERYTHING YELLING AT ME ALL THE TIME. The time was right to install Office 2013 at home and put on my reverse engineering hat. Can I make it lower case again? I did a cursory search for some of the ribbon text strings in my Office installation and it didn’t take long to find the UTF-16 text strings in msointl.dll. Once I had that, I fired up Outlook under WinDBG and went looking for the spot where msointl.dll gets loaded. I set up a breakpoint on load by typing sxe ld msointl.dll, fired up the process and… breakpoint was not hit. , g, g,…. and bingo. Module loaded. Once I had the string in the memory, I typed s -su 0x0 L?0xFFFFFFFF "Send / Receive" to find the exact address where the ribbon text was loaded. With an address in hand, it was easy to set up a memory access breakpoint (ba r 1 address) and start debugging. I will spare you the details of how the text string gets copied and inspected a few times before it’s displayed (and how I had to set up new breakpoints to track the copies as well). It didn’t take long though to find the needle in the haystack – place where the breakpoint was hit with LCMapStringEx on the stack. It turns out Office calls this API with a hardcoded LCMAP_UPPERCASE constant. Locate the push instruction in memory, modify 02 to 00, hit F5. 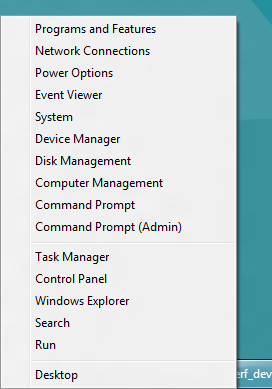 Blam, menu looks as pretty as in Office 2010. Running Office under WinDBG is not very practical, so I decided I will write a small app for this. I could opt to just patch mso.dll, but that’s hardly practical in the world of software updates and digital signatures. Instead I decided to write a memory patch. This would be really trivial had the code to patch been loaded at the time of process startup. Unfortunately, mso.dll is delay loaded. Hence, the usual trick where you CreateProcess a suspended process, patch memory and resume main thread won’t work. I had to write a small debugger. It is the same amount of fun as it sounds :). The debugging APIs made things really simple, since they give you a notification when a DLL gets loaded and that’s exactly when we should go and patch that bit in mso.dll. The last problem was to hook it up so that Office apps always launch under my debugger. I came up with hardly an elegant solution, but works for me – Image File Execution Options. It might break some programs that try to run Office apps programmatically and do interprocess communication afterwards (or wait for them to exit), but that’s a small price to pay for a consistent user experience (the Word previewer in Outlook is affected, for example). Once I had a way to hook it up at launch, I just decided to go the last mile and write an MSI installer with a complimentary microsite at unoffic.migeel.sk. The link to get the sources is included as well. Enjoy! Now that Windows 8 Consumer Preview is out in public, you might have a hard time finding some of the old features you were using often – like the old Control Panel. Press WinKey + X.
I recently stumbled upon a very interesting project – a CIL (.Net assembler) backend and frontend for GCC. Suppose you have source code in one of the languages supported by GCC (C, C++, Ada, Fortran,…) and you want to use the code from managed code (say, a C# application). A CIL backend would allow you to do just that – compile and link the C code into a .Net assembly so you can link it with C# code. Now suppose you have a managed .Net assembly and want to compile it to native code for one of the architectures supported by GCC (ARM, amd64, x86, MIPS,… on Linux, Windows, Darwin,…). A GCC frontend allows you to do just that. Take .Net CIL code and compile it to native code. There is a branch in GCC allowing you to do just that. The branch is called GCC-CLI. Even though it’s still very experimental, it already allows you to do a few interesting things. For example: compile C code into managed code using the CIL backend and then use the CIL frontend to compile the managed code to native code. The frontend only supports a limited subset of CIL and lacks a runtime library that would do garbage collection and other services (like GCC does with Java – libgcj). So it’s not that useful, yet. But the potential is huge! You can try it out yourself. The build instructions are here. You can build it with MSYS and MingW on Windows, but the build process is quite painful. If you don’t want to build it yourself, you can download the Windows binary of GCC with 32bit CIL backend here (7-zip archive – I hope you know what to do with that). Download the archive even if you want to build it yourself. There is a text document with a bunch of notes on how I built it. Unpack the archive somewhere and run bin\_BUILDTEST.cmd to build a hello world C application. To run the generated _test.exe, you’ll need the assemblies from lib\ to be present in GAC, or in the same folder as the EXE (just copy them over to bin\ and be done with it). Otherwise it will crash. Also, .Net framework is necessary (obviously). Only C is supported in my build. I was not successful with C++ (it looks like the backend can’t handle exceptions) and didn’t try anything else. Okay, quick post because this is too awesome to not to write about it. Rafael Rivera from withinwindows.com and Long Zheng from istartedsomething.com have put together a driver for Windows Location API in Windows 7. The driver provides geolocation information for location-aware Windows applications using Google’s Location Services. All it needs is your WiFi turned on (or your IP address, but that’s less precise) and internet connection. I am really impressed by the accuracy of thins thing (2 locations tested so far and the accuracy was ~30 meters). The best thing: it’s free. Go grab it from geosenseforwindows.com.